If you’re planning a visit to Malaysia or the island of Borneo on the whole, then you will want to make sure to hit all of the major cultural centers while you’re there. That definitely ought to mean some time spent in Bandar Seri Begawan, the capital of Brunei. A bustling urban area boasting a booming population of almost 300,000 people, Bandar Seri Begawan is a wonderful place to experience Malaysian urban life firsthand. The overall climate of the city can best be described as tropical and rainforest-like, just like the great majority of Malaysia excepting the highland regions. 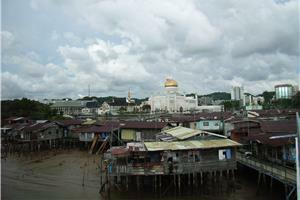 Bandar Seri Begawan is positively packed with major museums and other cultural centers. Visit the Royal Mausoleum, the Royal Ceremonial Hall, Sharif Ali’s Tomb, or Bolkiah’s Tomb for an inside look at some of the highlights of the local history, as well as a chance at some truly spectacular photo ops of local landmarks. A number of large-scale museums and historical homes are also must-sees for history buffs and culture buffs. Spiritual people should consider a tour of the city’s beautiful mosques, while nature lovers can visit the waterfront and lovely natural park areas. Opportunities to experience great shopping and delicious culinary fare abound. Whatever your pleasure, Bandar Seri Begawan has an option that’s sure to please. Being able to get around a large urban location like Bandar Seri Begawan needs to be convenient and inexpensive in order to be effective. That’s why bus travel to Bandar Seri Begawan is the smart tourist’s go-to choice hands down. The buses themselves are not only numerous, but frequent, so visiting plenty of points of interest is a snap. Plus, Bandar Seri Begawan bus travel is eco-friendly, so it’s the perfect transportation choice for people who are interested in being as environmentally conscious as possible with their choices. 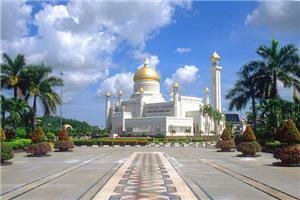 For more information about Bus to Bandar Seri Begawan, check out details from us today!